1pc for 1 color box,100 pcs for carton. 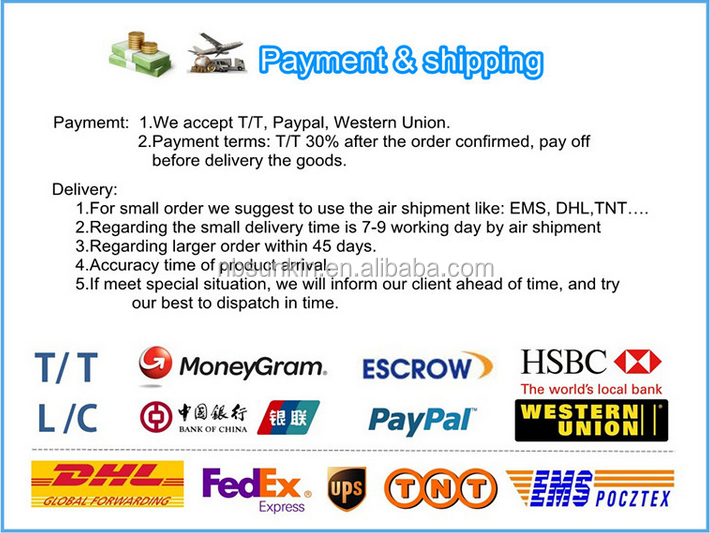 We can ship the goods from Ningbo or Shanghai port. Also we have shipped the goods to Europe ,USA, South Asia and so on. So if you need my ship company, pls tell me. 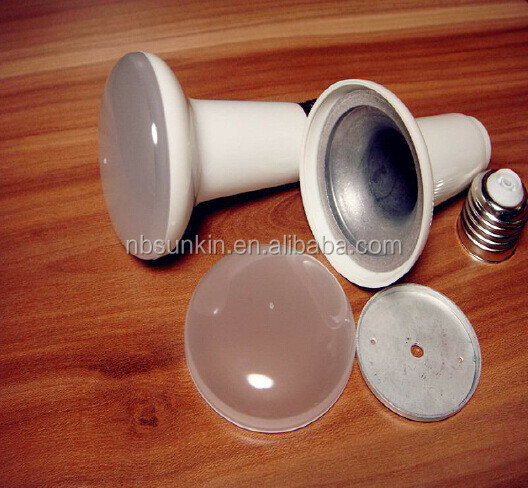 E. OEM&ODM, any your customized lightings we can help you to design and put into product. 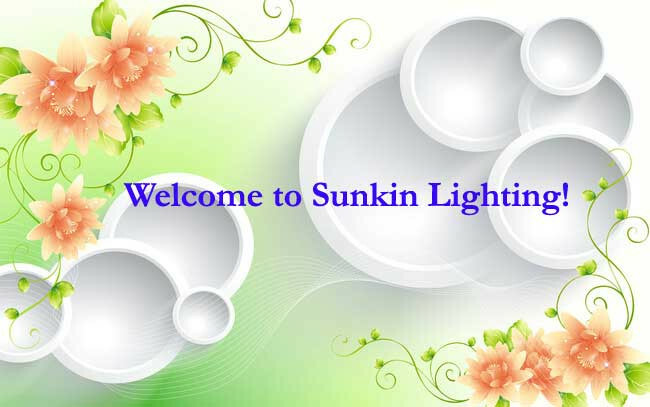 Ningbo Sunkin Industry Co., Ltd. is a company specializing in manufacturing and developing LED lighting products. Our lighting products include LED spotligts, LED bulbs, LED corn, G4 & G9 LED lamps, LED strips, LED tubes, LED floodlights, etc, and other related electric accessories. 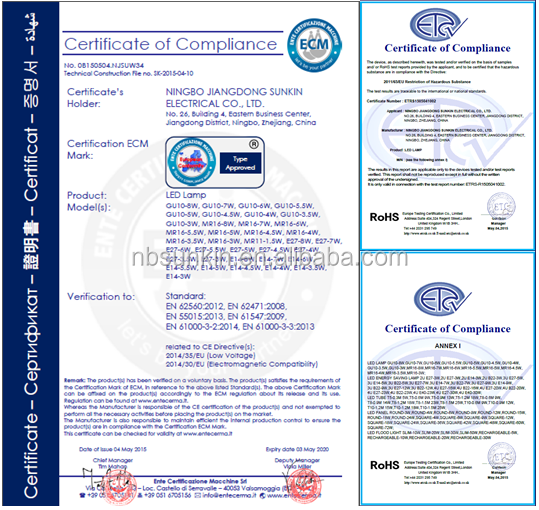 Our LED lighting products are CE & RoHS certified. We strictly adhere to these standards during material purchase and production. Our products have been sold well in Europe, America, Southeast Asia and Middle East markets, and we have got a good reputation from our old and new customers around world. We would like to establish stable and long-term cooperation with cutomers all over the world on the basis of sincere cooperation, equality and mutual benefit. Good quality, competitive price, and satisfying service are our promise as a reliable partner and we will work on it continueously. 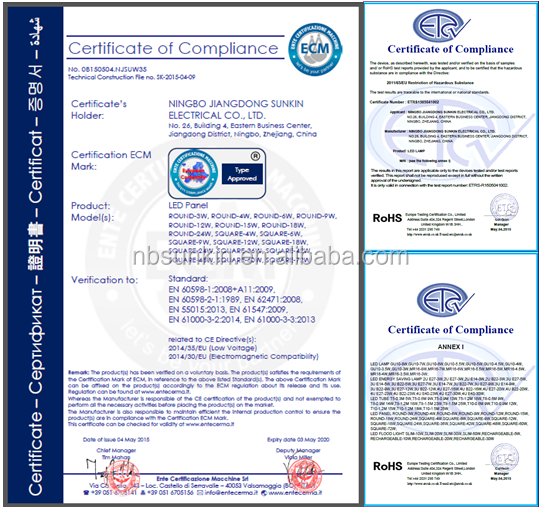 Our CE and Rohs certificate issued ECM Italy, ECM is the biggest Italian electrical product authentication organization, it has been certified by European commission. Q: Can we get the samples of led e27 bulb 220v? 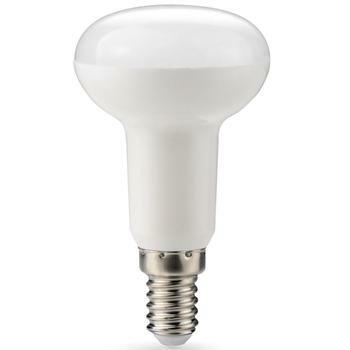 A: Yes, you can get 1pcs free samples of led e27 bulb 220v. 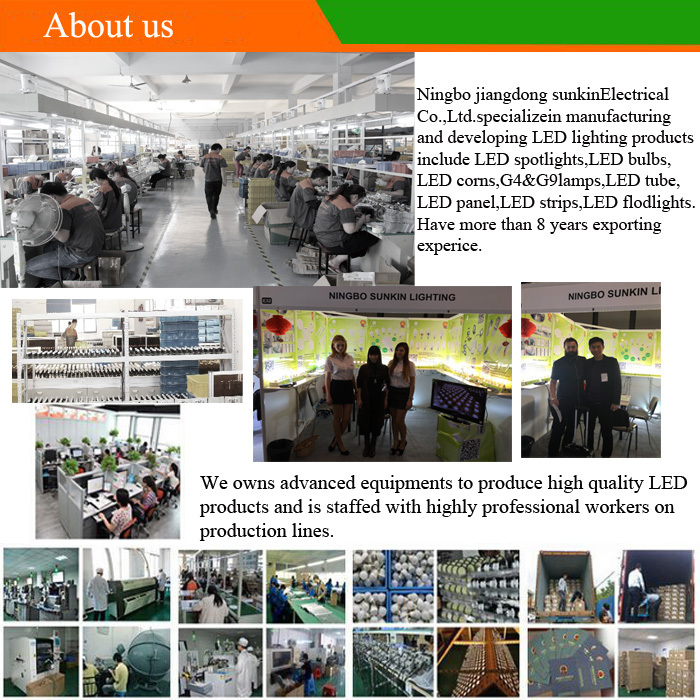 Q: How can I get a sample to check your quality of led e27 bulb 220v? 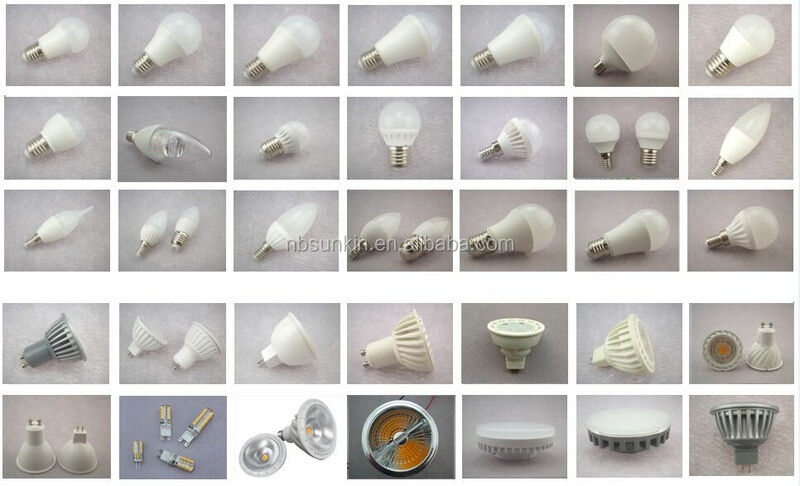 A: Price confirmatio--give me a sample list you want for led e27 bulb 220v---we will check and quote samples cost and shipping cost--get payment for the samples and shipping cost--Arrange samples. 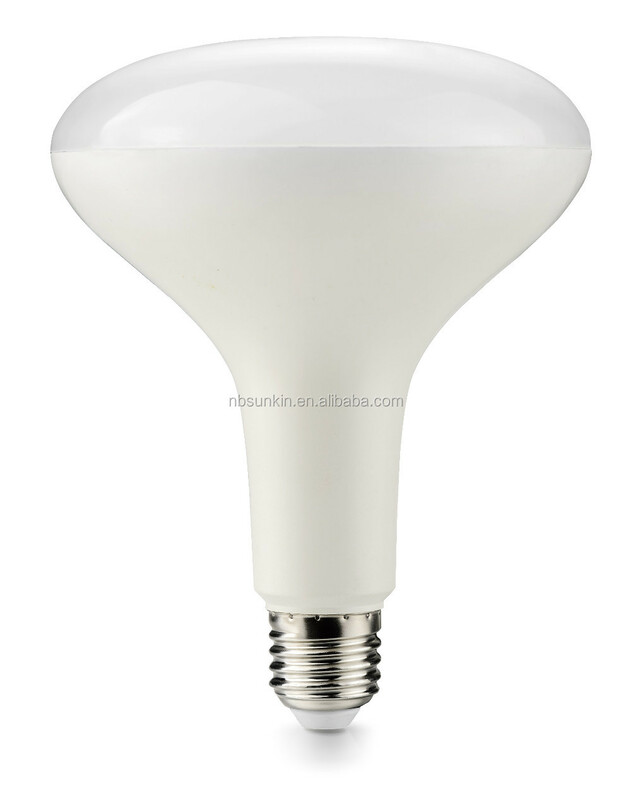 Q: How long can I expect to get the sample of led e27 bulb 220v? A: After you pay the sample fee, the samples would be ready for delivery within 7 days. If it were OEM sample, maybe the time would takes a little longer. 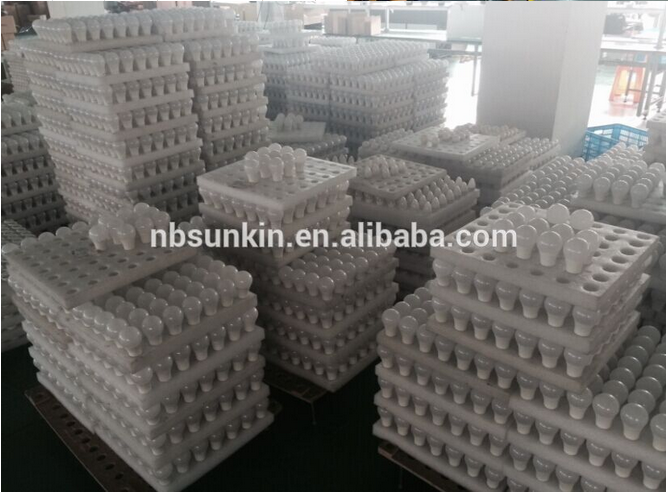 Q: What about the lead time for mass production of led e27 bulb 220v? A: Honestly, it depends on your order quantity and the season you place the order. But as a professional manufacturer, we can achieve your deadline. 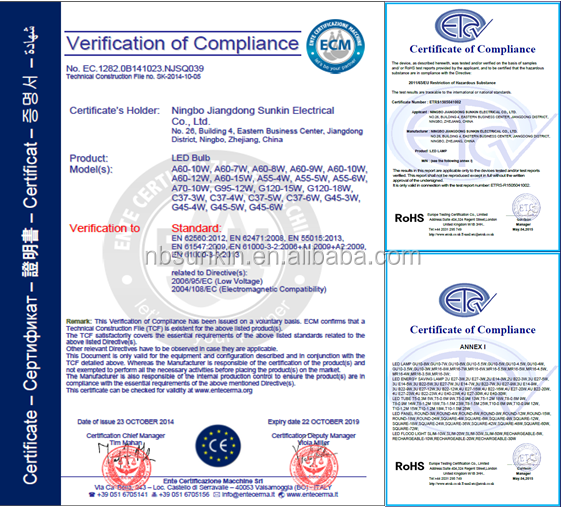 Q: What about the warranty of led e27 bulb 220v? A: We offer 2 years warranty for all the products. Your enquiry will be replied within 24hrs. Any question pls feel free to contact us.